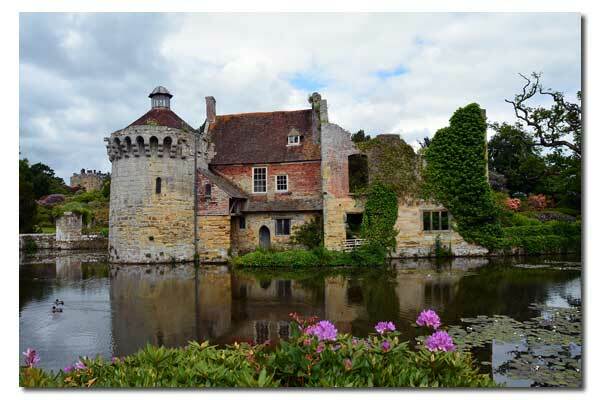 Scotney Castle was built in 1378 as a fortified house with towers at each corner for defensive purposes due to tensions with the French. Approximately two centuries later in 1580, a Elizabethan style based south wing adjoining the tower was added. Eventually, a new manor house was constructed using stone from the castle in 1837. Today, a single circular tower is all that remains of the 14th century structure, which is surrounded by a moat in the middle of the formal gardens of the estate. Despite its tranquil setting, various spirits still linger about. 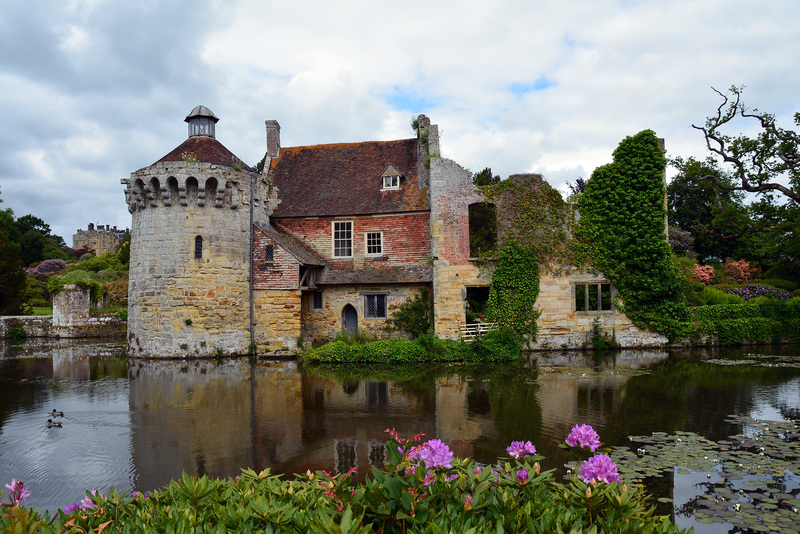 “Ensconced within a tall screen of leafy boughs, and shielded from prying eyes by a picturesque profusion of flora and fauna, the dreamy ruins of Scotney Castle blend harmoniously into their surroundings. No one who ventures here can deny that the whole foundation lies in a time warp. In the mid-17th century, William Darell demolished much of the old castle and used its stone to build the magnificent east range, the romantic ruin of which is one of the glories of the castle garden today. In 1720 Arthur Darell, then owner of the castle, died abroad, and his body was brought back for burial in nearby Lamberhurst Church. As the coffin was being lowered into the grave, those present noticed a stranger, swathed in a long, black cloak, standing among them. As the service neared its conclusion, the mysterious figure turned to a fellow mourner and whispered: “That is me they think they are burying!” Moments later he had disappeared, and, despite a thorough search, no sign of him could be found. Did the ghost of Arthur Darell appear at his own funeral, or was there a more earthly explanation behind the bizarre incident? It has been suggested that Arthur may well have faked his own death to free himself from the baleful pursuit of his litigious sisters, who resented his inheritance of the family estate. This ghost story was taken from the book "Haunted Castles of Britain and Ireland" by Richard Jones. We would like to thank Richard for graciously allowing us to use his text on Great Castles for some of the ghost stories presented on this site. You can find other stories by Mr. Jones on his web site, Haunted Britain. 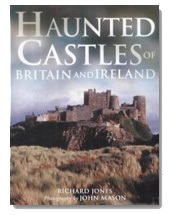 About the Haunted Castles of Britain and Ireland book: Region by region, ghost-seeker Richard Jones reveals, explains and delights in the tales of tortured phantoms eager to restage their dark and turbulent pasts. The cast of characters ranges from ghostly queens that hurl themselves from the ramparts to malevolent monks that wander the corridors. This authoritative and accessible guide to haunted sites is illustrated throughout and includes extracts from original documents.